We hope you had a restful Easter break and are ready for the Summer term in Year 1. Our new topic is countries and we will be learning about countries from around the world. 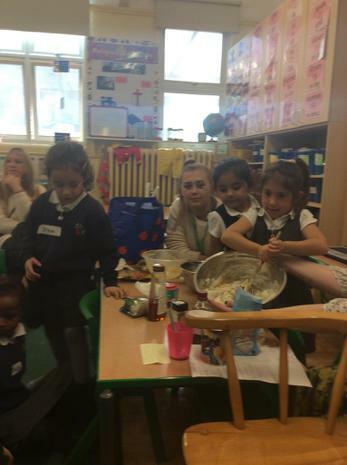 Violet class are learning about France and Miss Domb is even teaching them to speak French! Crocus class are learning about China, Blackberry class are learning about Greece, Orchid class will find out about Jamaica and Sunflower class know all about Italy. We used a special book called an Atlas and a globe to find the country we are learning about. We looked at which countries it is next to and thought about how we would travel there." "We would travel to China by aeroplane and it would take a long time. You have to fly over the land and ocean." Rejus, Crocus class. We made flags. "The Jamaican flag is green, yellow and black." Akeel, Orchid class. 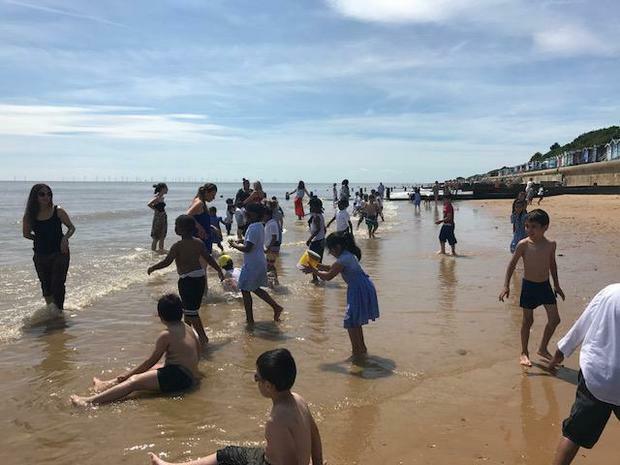 Year 1 enjoyed a trip to Frinton- on-sea. Our new topic is 'Journeys' and we are learning about seasides from the past. 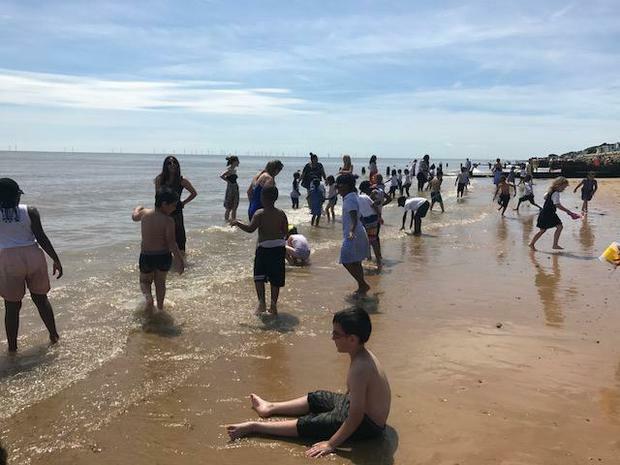 We wanted to compare it to the seaside today. 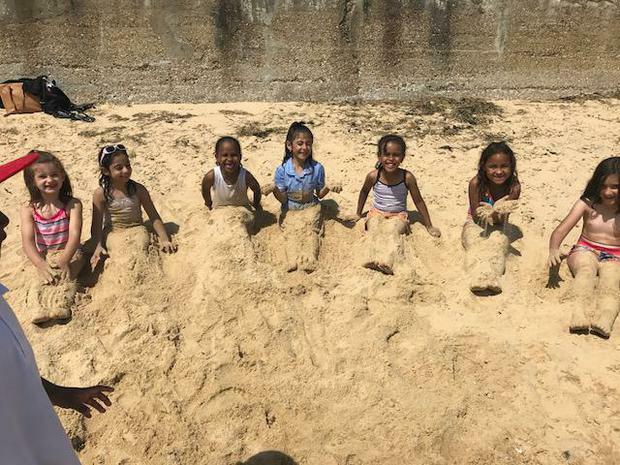 "We saw people sunbathing outside their beach huts. There were not any donkeys on the beach like there were in the past." Adshayen, Sunflower class. 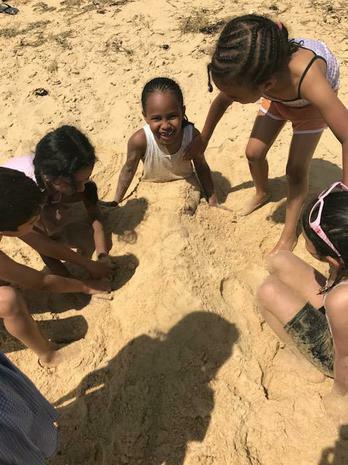 We asked questions about the sand. 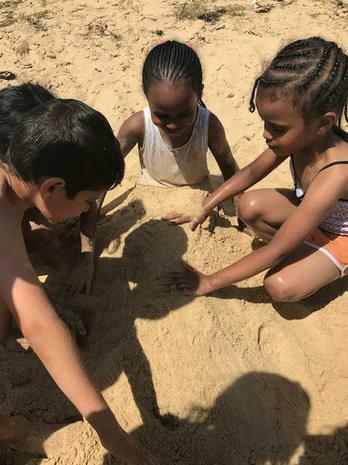 "Will the dry sand or the wet sand make a better castle?". We found out that the wet sand made a better castle when we tested it. We looked at the types of animals that lived near the sea. We saw white birds with a pointy beak called seagulls. We saw crabs in the seaweed by the rocks. We collected shells to bring back to school. 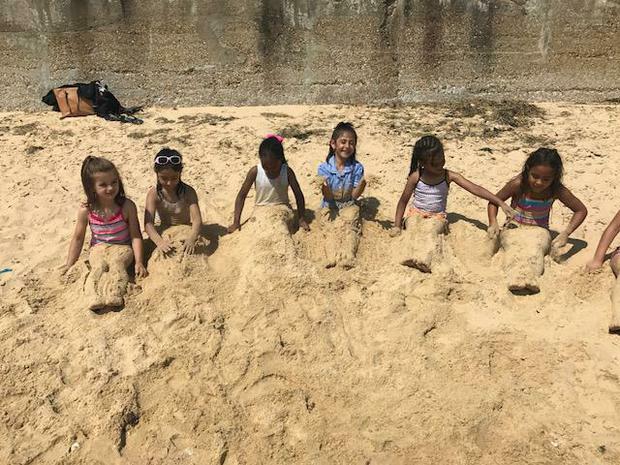 We splashed in the sea and played in the sand and some of us pretended to be mermaids as we remembered them from a story we had read. During the Summer term we have been making sculptures using natural materials. We looked at the work of Anthony Goldsworthy and made our own designs using materials that we found on the field. "I used leaves, small stones and sticks" Jear. We compared our work to Goldsworthy's and tried to use some of the shapes and patterns that we saw in his work. We then evaluated our work to explain the things that we liked and the things that we could improve upon. 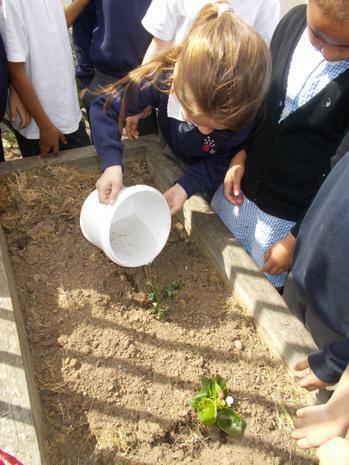 In science, we have been learning about plants. We went on a science trail on to the school field. We had many questions including do the trees with the thickest trunk have the biggest leaves? We looked at the trunks and made crayon rubbings. We then wrapped string around the trunk and compared the trunk size and leaf size of various trees to help us reach a conclusion. We used identification sheets to help us name the trees. In P.E we are working on transferring weight from one body part to another and developing our balance. We have used a range of apparatus and have practised moving and travelling in a range of ways. In Games we have been practising sending and receiving with Mr Constantine. We have applied this skill to various games where we have worked as a team to throw and catch the bean bag or ball. 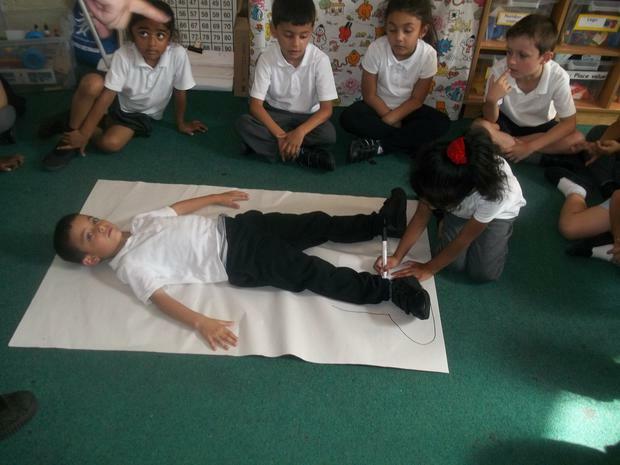 In maths we have been learning about measurement. We used the vocabulary long, longer, longest, short, shorter and shortest. We also used the words tall, wide and narrow. We then used non standard measurements to help us compare two lengths. "The table is 18 hand spans long." Suaile. 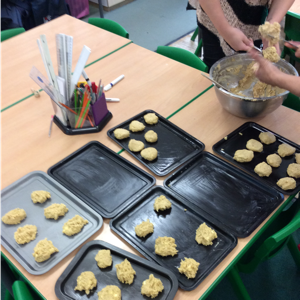 The children have been working really hard. Well done for also working well at home to complete your home learning books. 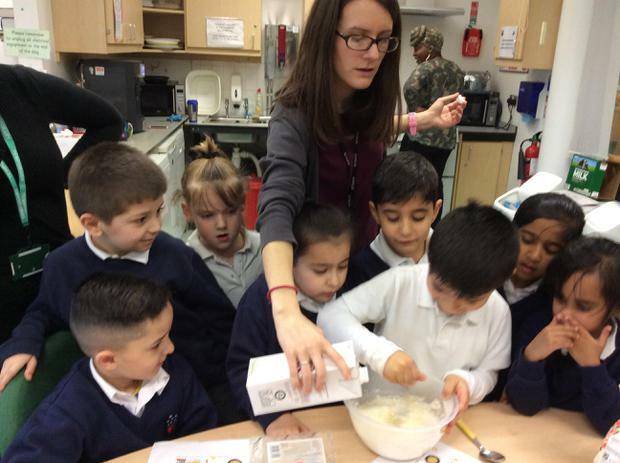 We have seen many great examples of information books about other countries and photographs of the delicious foods that you have been cooking at home. Thank you to the parents and carers for your continued support and for regularly listening to your children read at home and signing the home school reading logs. We really appreciate your input and comments to enable us to work together to support the children. Well done to the many children who have received certificates for Mathletics and Reading Eggs! 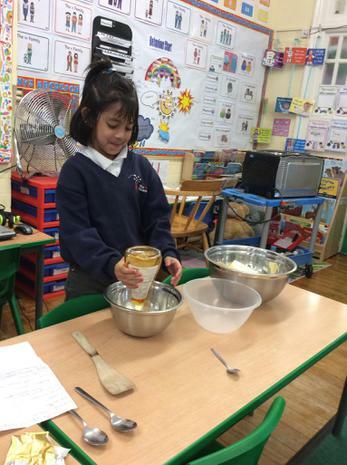 In Sunflower class we have been learning about Italy. 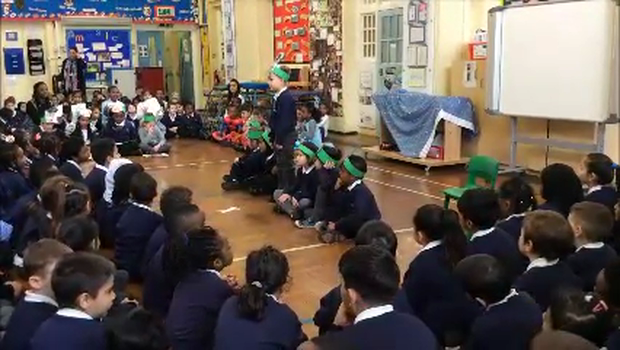 We made a presentation with facts about Italy to share with the other Year 1 classes. We made posters to show them pictures of the food, weather and landmarks. 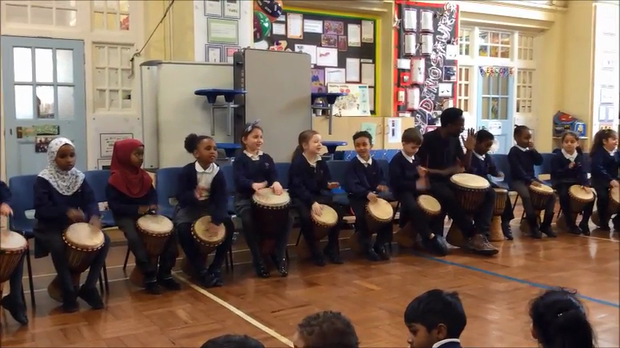 Year 1 performed rhythmically and confidently to their parents on the West African djembe. They showed a good sense of pulse and how to work in a drumming circle following the master drummer. A big thank you to the parents who joined in! We have been celebrating Book Week by discussing our favourite books and characters. 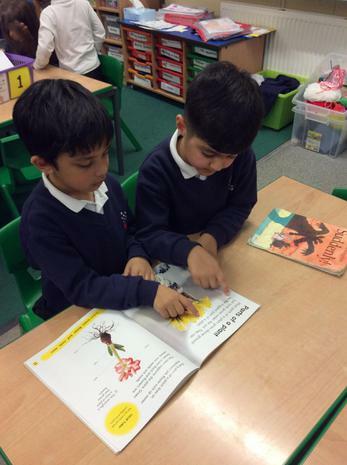 We spent some time reading with our friends in reception and really enjoyed sharing ideas with them. 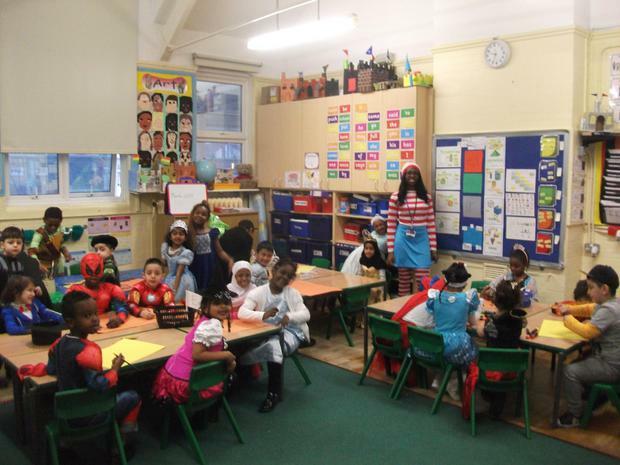 We also celebrated World Book Day on Friday by dressing up as our favourite characters from books! There were lots of colourful, interesting outfits. 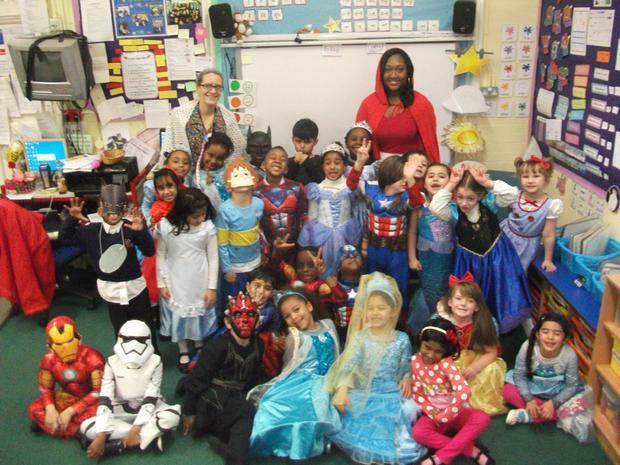 Year 1 was filled with Cinderellas, Snow Whites and many characters from our favourite comic books! We had a lot of fun doing different activities in each class. In Orchid class, we read We're Going on a Bear Hunt and painted different settings described in the book. 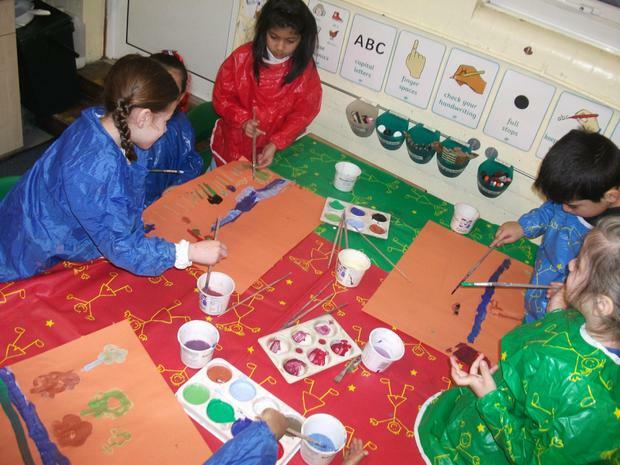 We made some beautiful artwork and enjoyed using paint, chalk and felt tip pens. 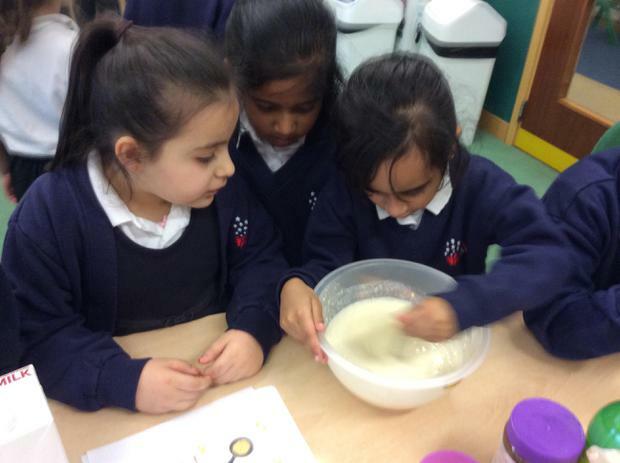 We also celebrated Pancake Day by making our own pancakes and following instructions. 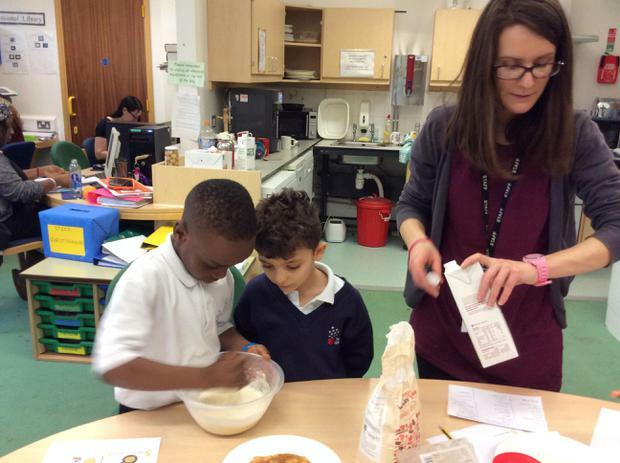 We used our phonics skills to read the recipe, used our amazing maths skills to measure ingredients and worked together to make delicious pancakes. In maths, we have been focusing on multiplication and using arrays to show our groups. We used our incredible maths skills and teamwork to explore multiplication, repeated addition and arrays. In literacy, we have been working on The Three Little Pigs. 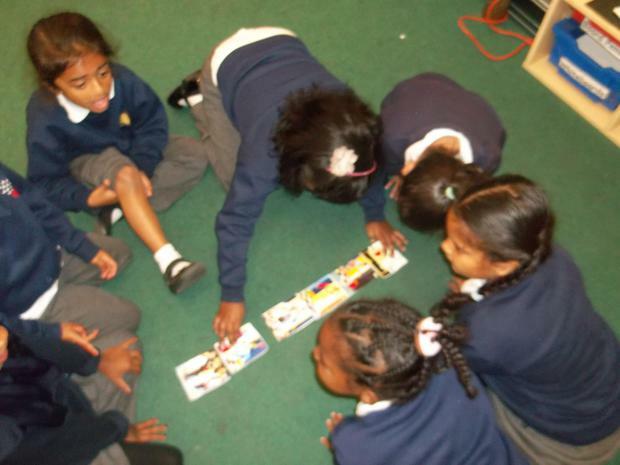 We have been exploring this traditional tale by acting out the story in groups. Orchid class has lots of actors and actresses who put on some amazing performances in the classroom! Welcome back to the Spring term in Year 1! We are reading many traditional tales. We have read the story of 'Jack and the Beanstalk'. First we role played the story and described the objects that Jack took from the giant. He took the golden harp. He took the special coins. He took the amazing hen. We have been learning about adjectives which describe a noun. We even wrote our own stories, changing the adjectives and the nouns. We have been very busy filling our new homework books and have enjoyed completing the activities. 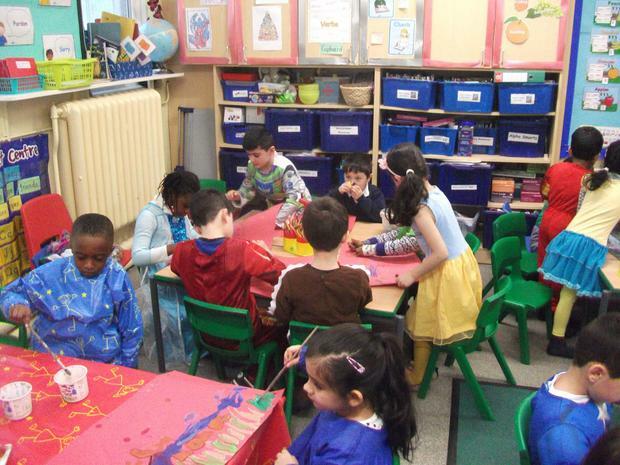 Many children have brought their imaginative castles into school to share with their friends. Thank you for supporting your children with their homework. If you require further support please speak to your child's class teacher who will be happy to help. "I liked the animal hunt. I saw a fox." Marude, Sunflower. We went to St Peter's Church this week and visited Father Chris who told us all about how Christians celebrate Christmas. We learnt about the special time of advent, and how important the colour purple is to Christians around this time of year. We asked lots of great questions and wrote about our trip in our RE lesson. In Science, we have been looking at animals and this week we looked at fish in great detail. 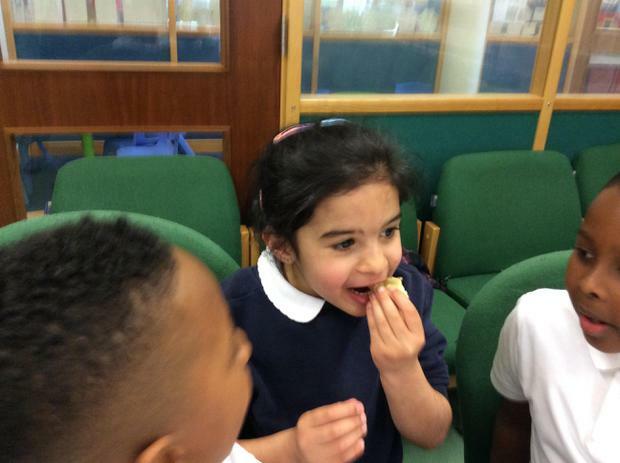 We were able to examine real fish in our lesson which involved touching, smelling and looking at the fish. We learnt lots of new and interesting information and had fun exploring the subject! 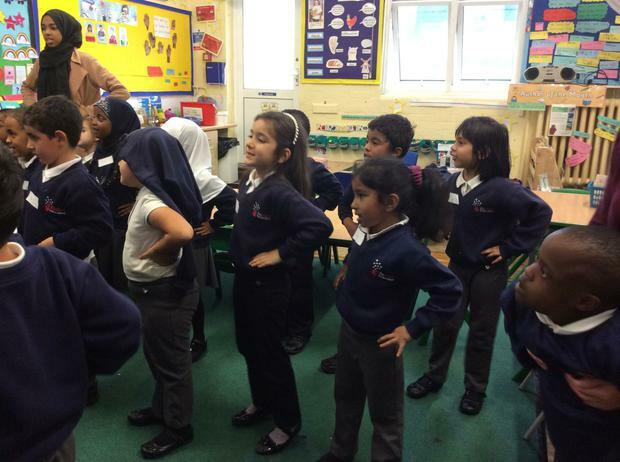 It's been an exciting week in Year 1! 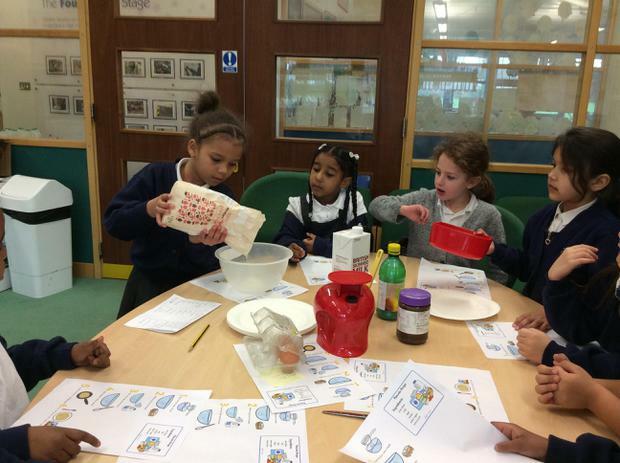 We had some visitors come in from Thames Water to teach us about saving water. We learnt how to be detectives, and we solved the case of the sinking flamingo. We also went on a trip to cinema for literacy. We've been recounting what happened using sequencing words like first, next and then. In Maths, we're still working hard on subtraction, using objects to help us with even trickier questions. We've also been rehearsing for our Christmas concert, and we can't wait to share it with all of you. 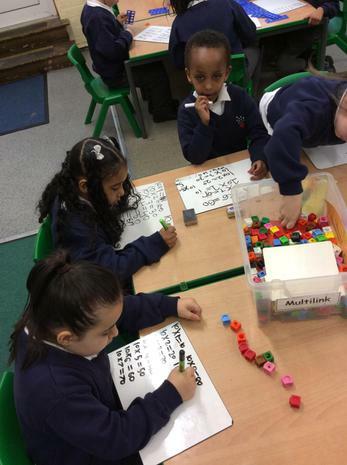 This week in Year 1 we've been focusing on subtraction in Maths. We've been using 100 squares and Numicon to help us when were taking away. In Literacy, we wrote sentences about different celebrations and practised writing independently. We also started learning about how to write plural nouns. Now we know when to add -s and when to add -es! In Science, we continued our exploration of animal groups. We thought about the features of different animals and made models out of clay to show what we had learnt. 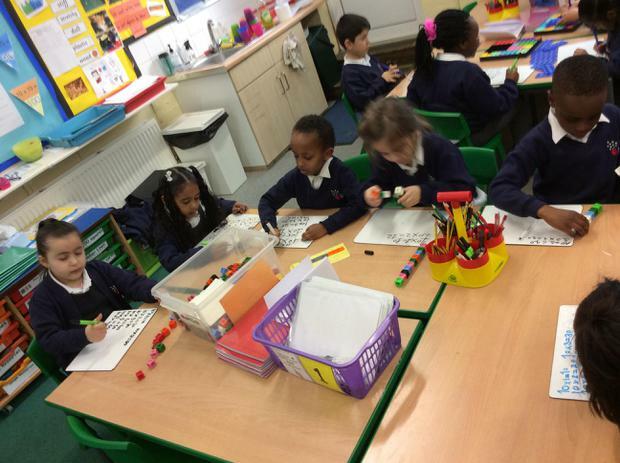 In Maths, we have been exploring number bonds to 10 using addition and numicon. 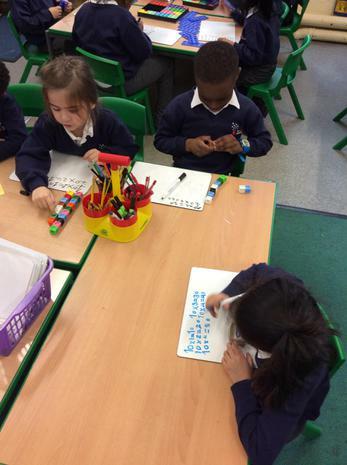 We used colourful numicon and then wrote number sentences to check our answers. In Literacy, we read Kipper's Birthday and did lots of work on ordering the story. We then made a storyboard and wrote about each part of the story. 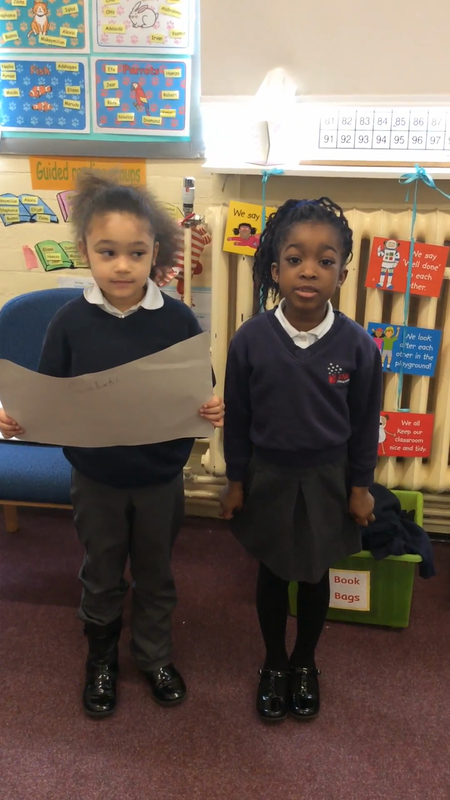 We had lots of fun and used our amazing phonic skills to read the sentences. 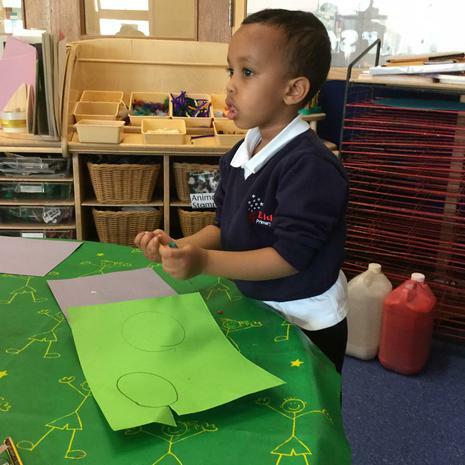 What an exciting start to Year 1! 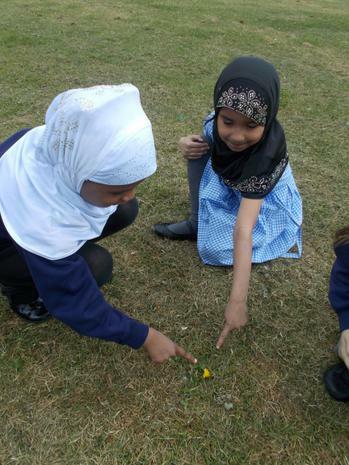 The children have settled well in to Key Stage 1 and have been very busy learning in our indoor and outdoor environments. 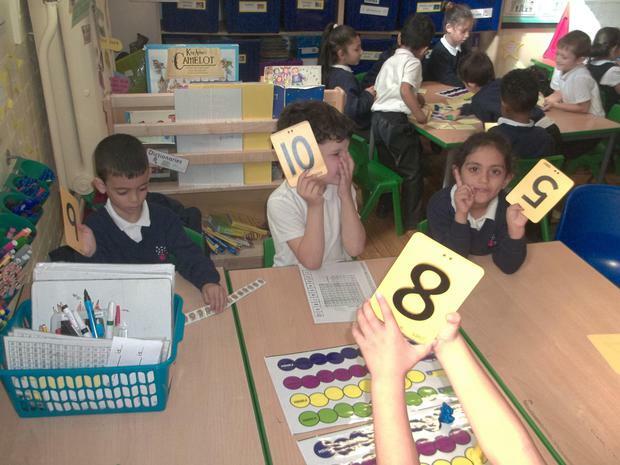 In maths we have been practising our counting and reading and writing numbers to 20. 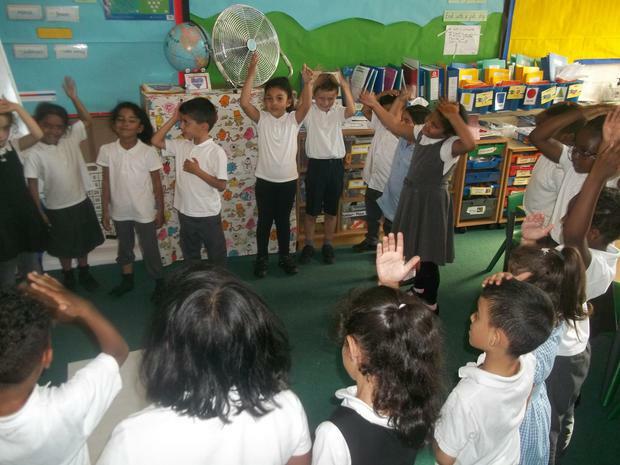 We've been learning many songs and rhymes to help us. We've looked for the smallest and biggest numbers when ordering. 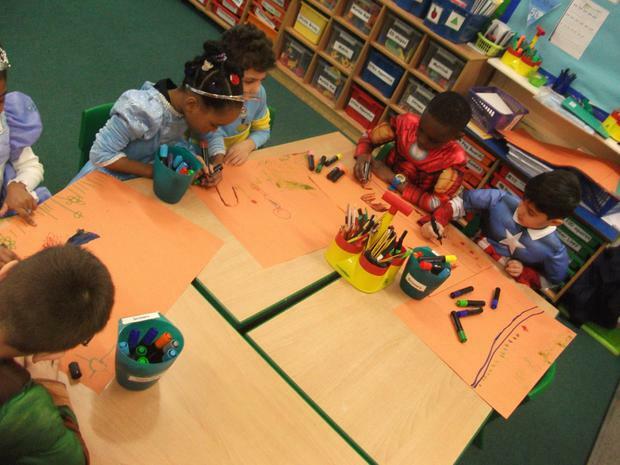 We have been developing our fine motor skills to support us when we write. We've had lots of fun using pegs, tweezers to move pom poms, threading pasta, cutting with scissors, making paperclip chains and using play dough. This will really help us when we write. In Reception the children learnt many sounds so we are now able to start learning new digraphs. Digraphs are two letters that make one sound such as sh, ch, th. You can find these in your home reading records. 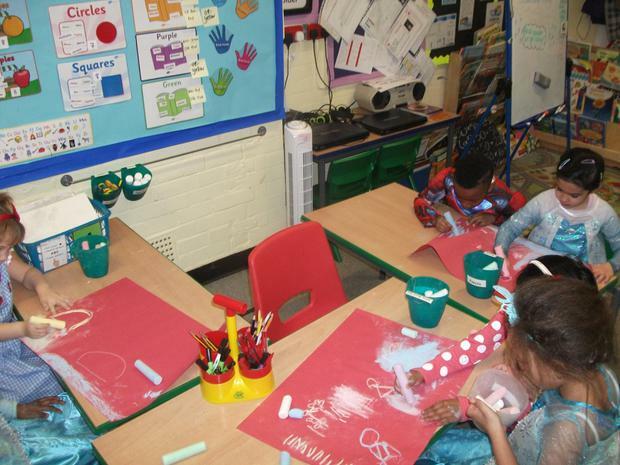 The children are practising blending letters to read words. We do ask for parent support with reading and homework. Please remember to sign your child's reading record regularly. We are always available to answer any questions you may have. 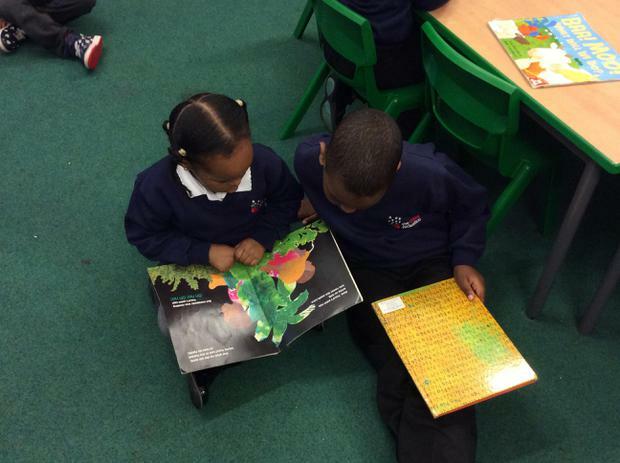 If you are available to come into school to listen to children read, please speak to Miss Rawlinson, any support would be appreciated. In Maths this week, we worked on recognising and describing 2D shapes. We knew the names of all of the 2D shapes and even managed to find different shapes around the school. We found lots of shapes in the class, in the playground and even in the assembly hall. In Science, we have been working on our five senses and we explored the sense of smell. 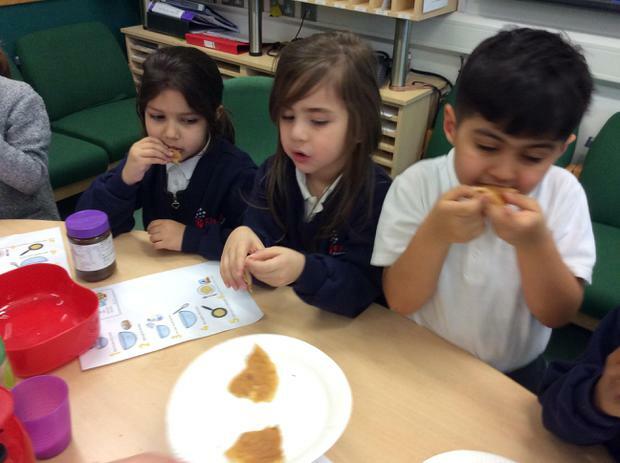 This involved smelling lots of different things, and discussing whether we liked or disliked the smell. 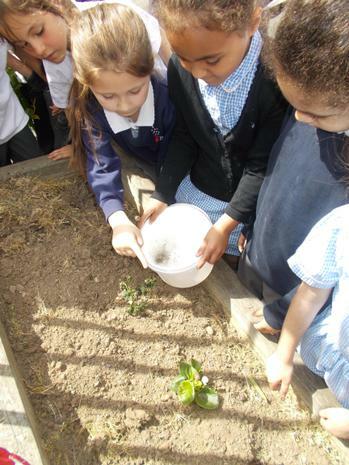 ​Some of us in Orchid class liked the smell of basil, lemons and ginger, some of us did not! But we all enjoyed comparing the smells and discussing our thoughts. 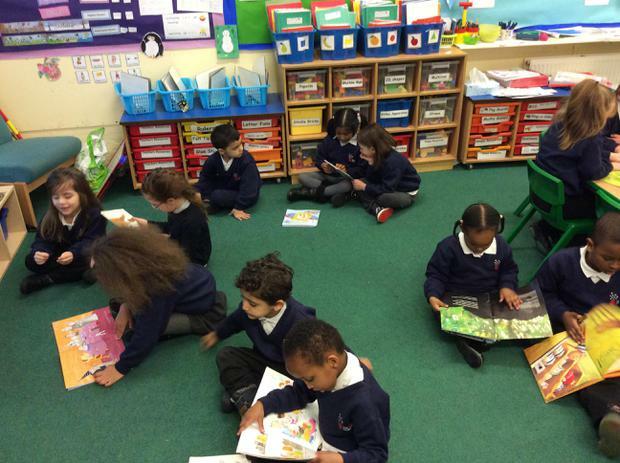 In Literacy this week we have been looking at the features of fiction and non-fiction texts. We have used sorting hoops and worked in groups to sort different books. 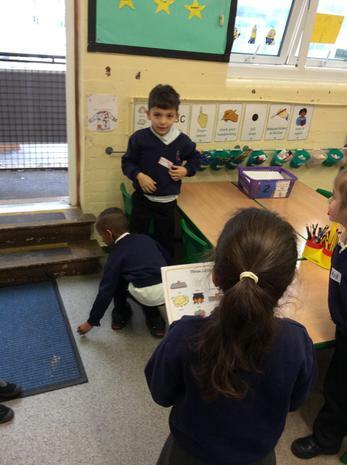 We have also been looking at people who help us, and we used costumes and props to do some role-playing. 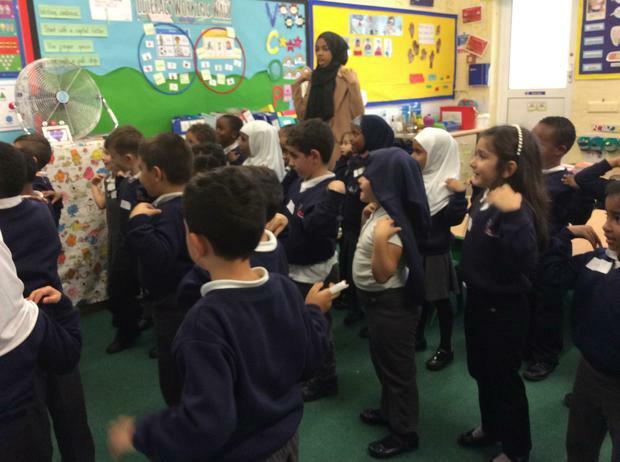 We had firefighters, police, doctors and teachers in Orchid class! 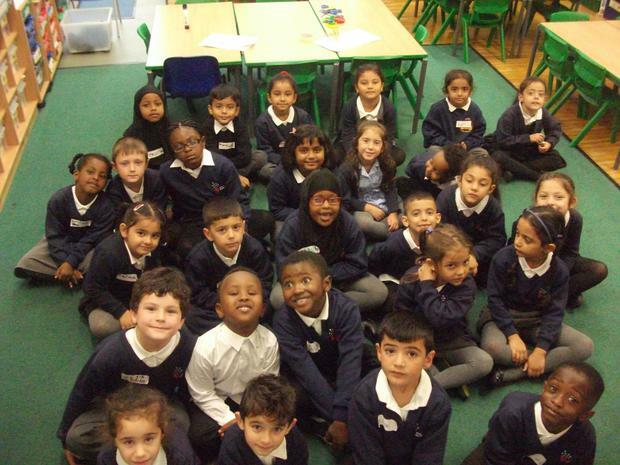 We have been busy this week in Year 1, learning about ourselves and the world around us! We read the book ‘So Much’ which was about a family welcoming a new baby. It’s a lovely story! It made us think about our own families, and we’ve been writing about the wonderful people in them. 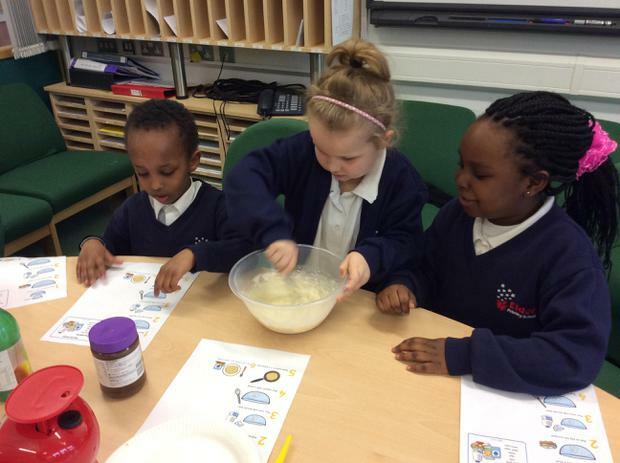 In science, we have been finding out about how our senses help us to discover the world, and thinking about what tastes we like and don’t like. In maths we have been practicing our counting, and finding one more than a given number. We've been writing lots of number sentences. We’ve also been thinking about where we live, what makes our world wonderful and what we look like. We have started to create self-portraits in Art.